Kidnapping is a serious felony offense and occurs when a person intentionally or knowingly abducts another person—usually a child. Kidnapping of children most commonly occurs when a couple is separating or divorcing.The people involved are often parents, relatives, or guardians of the victim and the circumstances are both legally complicated and emotionally charged. 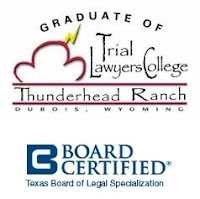 In Texas criminal law, these two terms are very important.The difference in meaning between these terms as applied to the facts of your case could affect the seriousness of the charges against you, how your case is handled and whether or not your case has the potential to be dismissed by the grand jury or prosecutor. The purpose of defining restraint and abduction in the code is to provide guidance on how the three different kidnapping related offenses should be charged.These three related offenses are unlawful restraint, kidnapping and aggravated kidnapping. The penalties for these offenses are severe and can significantly impact your future, such as by losing many educational, employment and housing opportunities.A conviction for kidnapping will also prevent you from ever owning or possessing a firearm. An experienced Harris County kidnapping defense lawyer will be able to review your case and fight to get your charges dismissed or reduced.